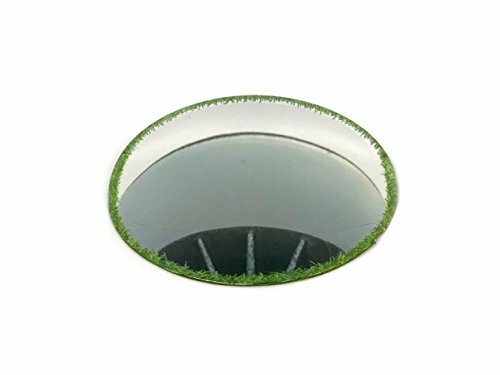 Putt Anywhere 4-5 foot training target - A hole thats Not A Hole! The 3 perfect putting training targets. 2-3 ft 4-5 ft 6 plus ranges. Each hole is an optical illusion to your brain. You see a hole but there is not a hole. You can set up on a crowded green, in an office, basement, man cave, or family room. Comes in stylish portable case to fit in golf bag or suit case. Soft front "dustpan" edge, hard ABS ramp, teeth on front edge to bite carpet or grass. If you have any questions about this product by Putt Anywhere, contact us by completing and submitting the form below. If you are looking for a specif part number, please include it with your message.